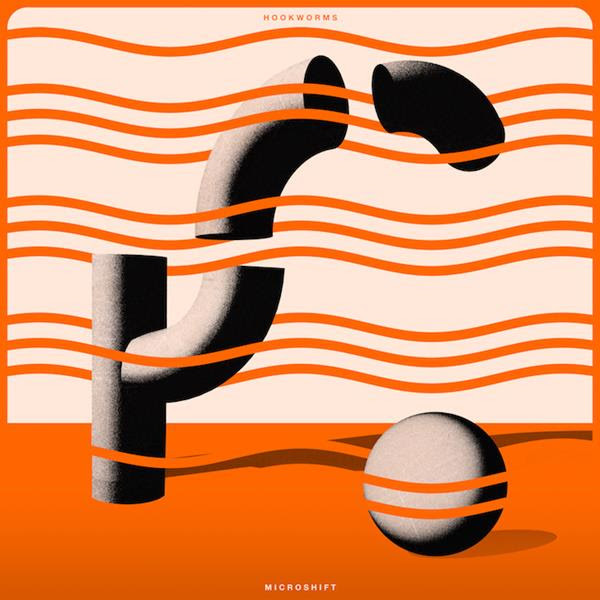 Despite a disastrous flood that wrecked their studio, the morale of the Leeds-based psych-rock band, Hookworms, prevailed and led them to create a diverse and energising third album, sure to entertain from beginning to end. Hookworms have knocked many bricks from their usual wall-of-sound aesthetic, allowing the vocals to shine through with a newfound sense of confidence. They depart, to a notable extent, from the growling stoner rock haze of their first two studio albums to a fresher indie sound, while still managing to preserve their sonic identity. And it’s a very welcome transition. Don’t get me wrong – I’m a fan of their previous work, and the critics seem to agree; but in a time when everyone expects more from greatness, you can’t deny respect for a well-regarded artist who dares to change and makes it work. This LP is very much a start-to-finish listen, with tracks smoothly transitioning from one to the next – so fingers off the shuffle button! Previously obscured behind the curtains of distortion, the use of organ melodies throughout create a theatrical, somewhat epic feel that really pulls you along with the emotional lyricism. The vocal stylings conquer a range of moods and, from enthusiastic to solemn, maintain a uniquely compelling edge. The album starts off heavy – in a poignant sense – as Negative Space delivers a heartfelt, bittersweet lament for the loss of a dear friend of the band. Fear not for lasting melancholy however, as upbeat is next on the menu with Static Resistance. Toe-tapping drums drive this rockin’ track, and the dynamic nature of the album becomes clear. Organ sounds take centre stage in the slower The Soft Season, which finishes beautifully as a super-subtle sax joins the final lull. Opener re-ups the energy once more. The backing track of this one was reminiscent of The Who’s Baba O’Riley for me (for which I award bonus points!) and synergises well with the layers of instrumental optimism. Each Time We Pass embodies a characteristic dream-like quality – distinct from the distortion-laden work of the band’s previous releases – while Boxing Day punches some discord into the mix, as abrupt bursts of squeaky horns contrast with the chanted vocal rhythm. After quite the emotional journey, the album finishes on a high note with Shortcomings. This initially bass-driven track becomes saturated with synth as vocals surge with overtones of hopefulness. It’s one of those surefire feelgood tunes that’ll put at least a smirk on the face of anyone with a functional ticker. This album is living proof that change is good, and it excites me for whatever future material they release, whether they switch direction again or not. For those looking to sink their teeth into the next box-fresh indie album with a sound of its own – you need look no further. Microshift shall deliver.